Business Website Center has qualified as a certified expert by BigCommerce and is proud to announce that our company is a CERTIFIED BigCommerce Partner alongside with some of the best developers in the world! The eCommerce boom shows no sign of slowing down. Fact #1: Consumers love the fact that they can shop from the comfort of their home or office at any time of the day using either their mobile device or desktop computer. Fact #2: Smart companies understand that they can and should embrace the power of the Internet to increase their revenue stream by making their products available for purchase 24/7/365. 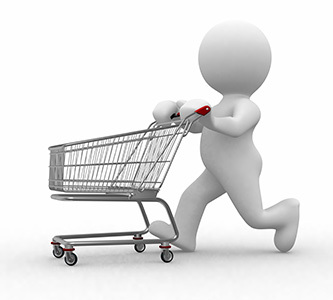 Fact #3: Shopping carts have come a long way and are now user friendly and intuitive making integration with shipping companies, sales tax calculation and accounting efficient and affordable. If you have an established brick & mortar retail shop or a manufacturing company ready to generate additional revenue online or if you are launching a new eCommerce business, we can provide you with an all-inclusive state-of-the-art solution thanks to the BigCommerce platform. "BigCommerce brings together an easy-to-understand platform that has the most current and relevant technology available to anyone needing an ecommerce website. 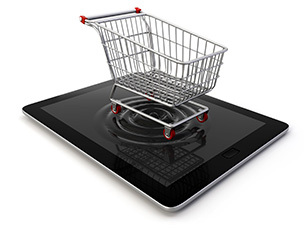 Online shopping has transformed the way consumers research, compare and buy products online. 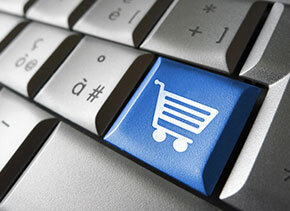 It is expected that the eCommerce US market will increase to $2.1 billion by 2019. Much of the growth over the next four years will be driven by the replatforming of major brands from on-premise solutions to lower-cost and often more agile SaaS platforms. Some 13% of major manufacturing, retail and wholesale firms use. "We did our homework to find BigCommerce - searched online, talked to colleagues and scoured review sites. BigCommerce is a solid platform with excellent feature sets and usability. We got our first sale in the first few days on the platform and have seen steady growth and conversion rates reaching 30%. The mobile version of our site is really impressive, too." With an on-premise solution, if your site goes down for any reason, the issue is on your own IT team to solve. There is also a step function for cost and functionality with on-premise. As you grow, you must keep adding servers for additional capacity, which can cost upward of $20,000 a piece considering you need a new license to go along with them. BigCommerce includes an SLA guaranteeing at least 99.5% uptime, and will give clients their money back if they don’t deliver. "Nobody likes having their website down - ever. Our previous platform was not stable by any means - when we were on Magento, our site was down about once a week over the course of three years. When customers see a 404 error, they lose trust and we lose the business." There is a direct correlation between companies that are not meeting their revenue goals and those that are not digging in deep enough on analytics like website visitor count, trending products, bounce rate and abandoned carts, to name a few. The Baymard Institute found that nearly 70% of online shopping carts are abandoned, proving the substantial need for brands to utilize data and analytics to power business strategies and win back customers. But Google Analytics does not offer the specifics needed to create and implement eCommerce strategies. BigCommerce Analytics gives you the actionable insights you need to grow. After all, the ecommerce industry requires its own set of data points - revenue graphs, merchandise reports, real-time revenue reports, purchase funnels, marketing reports, and abandoned cart details - that go beyond what you find in Google Analytics. These additional metrics are what brands like GE, Nikon and Nasty Gal use to increase conversion. "We love BigCommerce's sales tracking, ROI measurements, conversion rates, product sorting, featured products, wish lists, and just the overall flexibility for users when they're shopping and checking out. 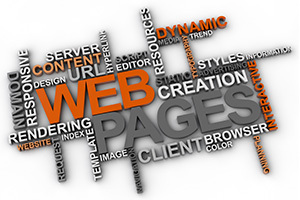 Now, our website conversion rate per unique visitors is 9 to 11%, which is way higher than industry averages." It all starts with a phone or in-person conversation to better understand your unique eCommerce needs and specific business goals. Then we schedule a live demonstration specifically formulated for your shopping cart need. "BigCommerce allows us to focus on running our business, not managing software. With the platform's built-in features, we’re able to save thousands in consultant fees we’d normally pay for complex integrations, SEO and marketing tools." The ultimate solution for omni-channel retailing! Accept credit cards online with no per-sale or percentage-of-sales fees! Promoting up-sells & featured products as well as "Other customers also bought this..."
Call us today to set up an appointment or ask questions about BigCommerce for your online retail store at (707) 794-9999.